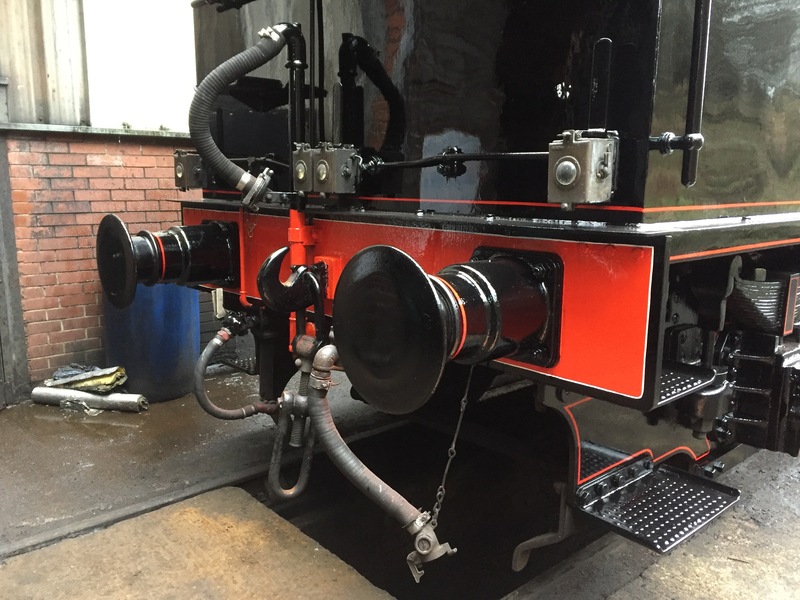 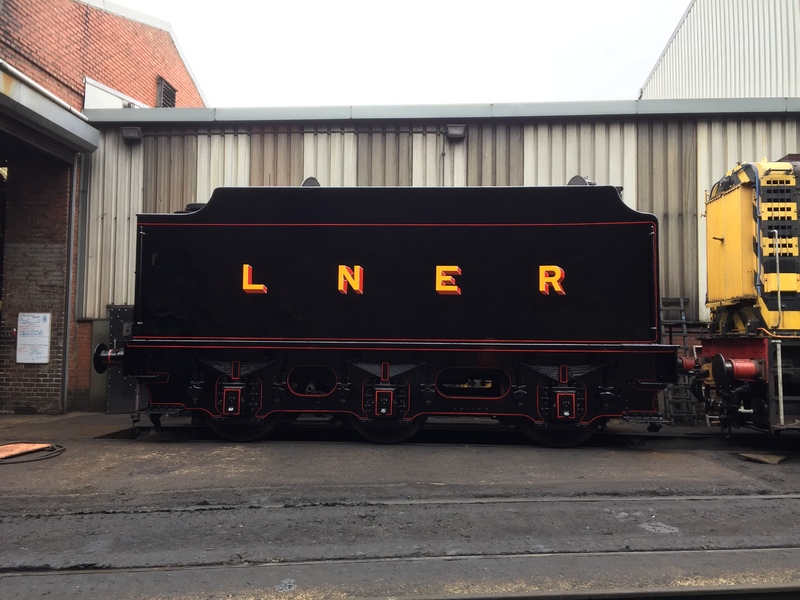 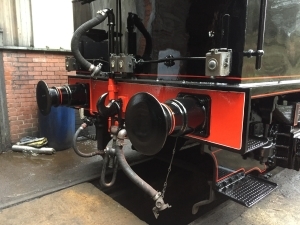 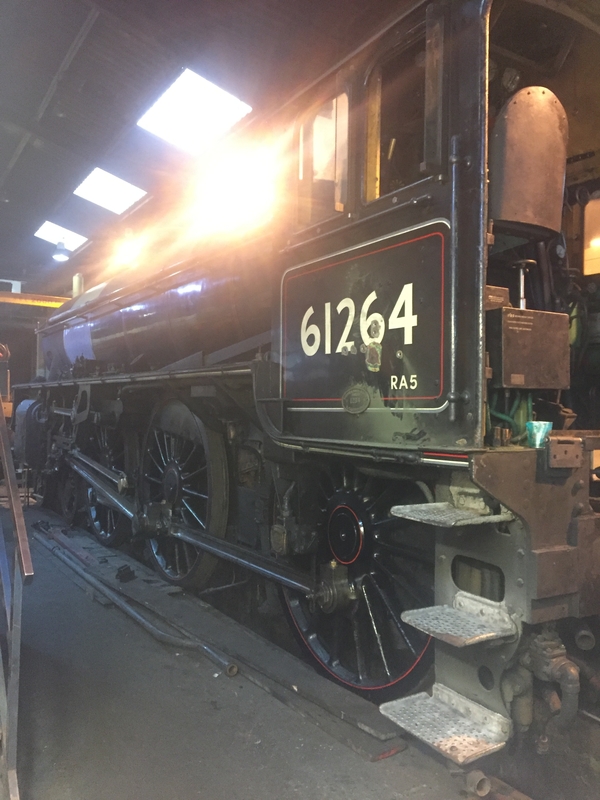 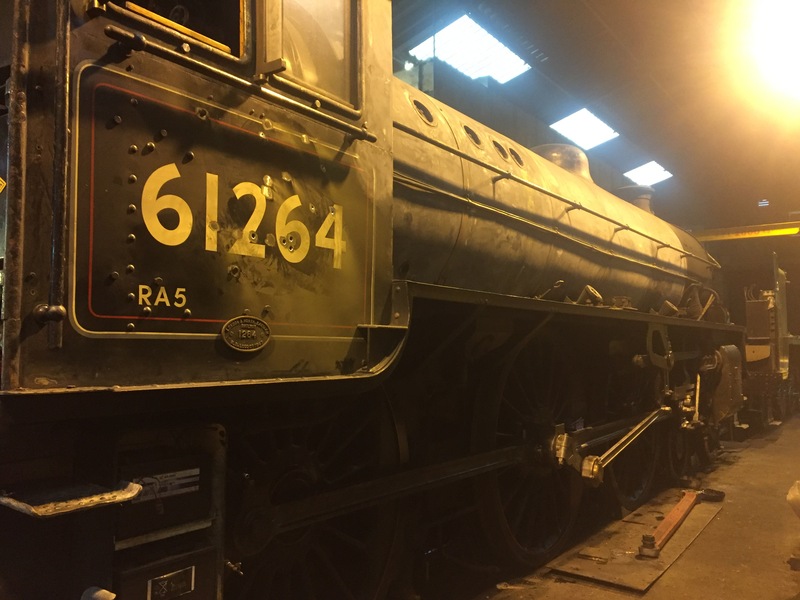 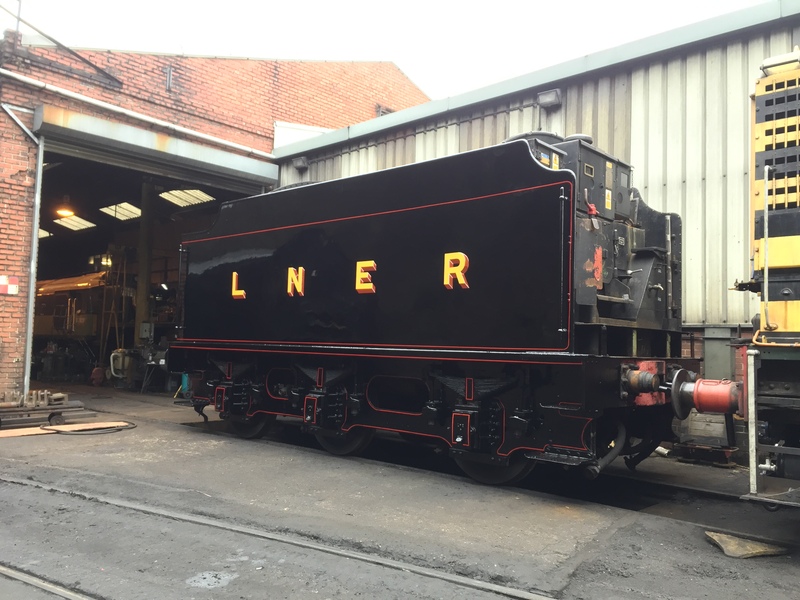 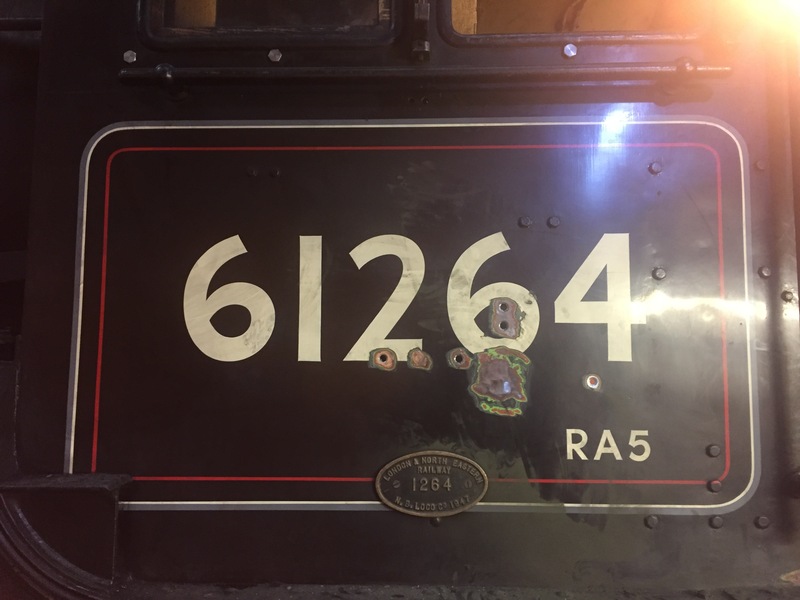 John Furness has finished painting the tender of 1264 and work is now progressing on the loco, the majority of the winter maintenance is complete with just a small number of jobs to complete. 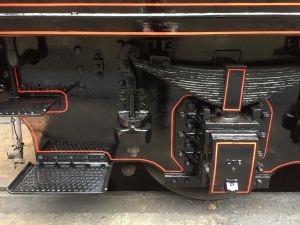 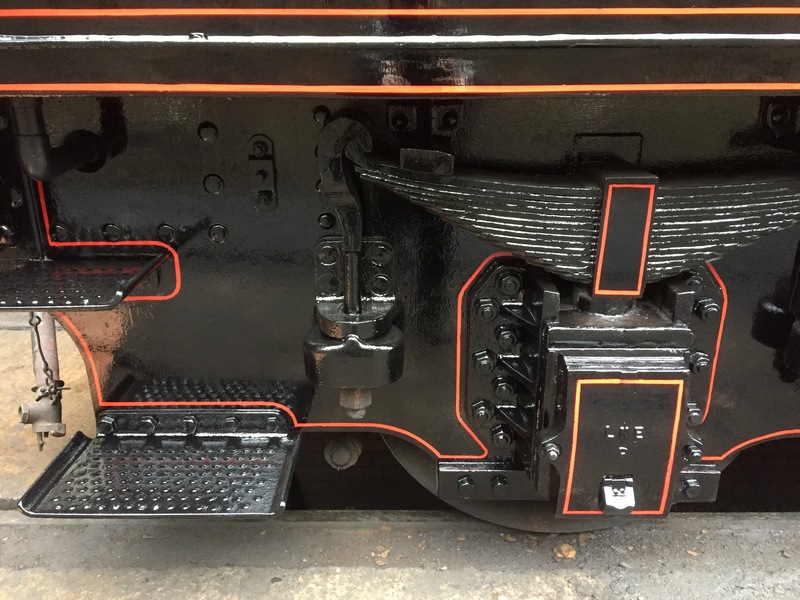 One job we have been on with is to remove some of the bolts and rivets in the cab sides, these are for holding equipment on the inside, and whilst we have the chance, we are changing these over to countersunk bolts, or removing them completely. 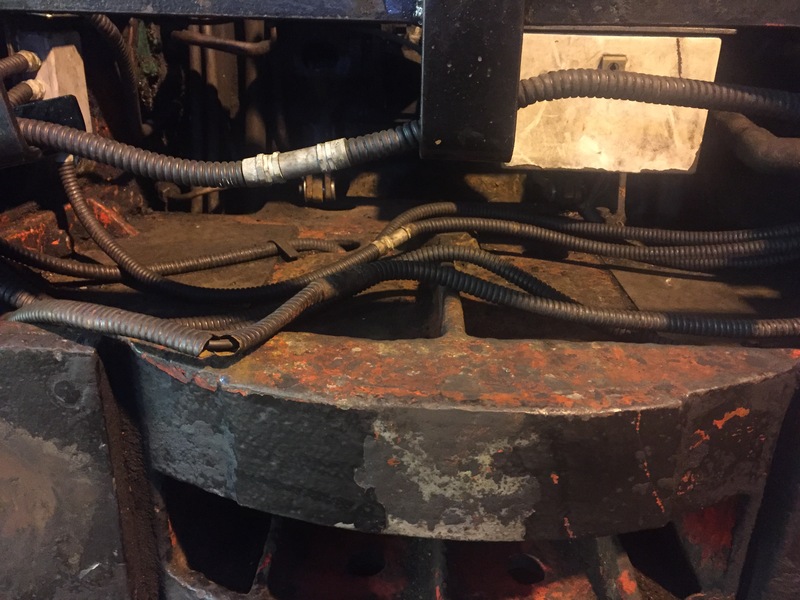 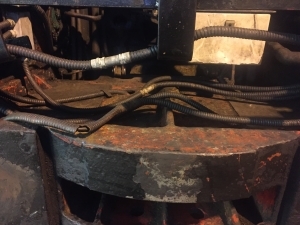 The last pictures show the cab sides ready for countersinking, and bolting up, and the drag box cleaned out, the damaged conduit is due to be replaced this week.